Dr. Adcock’s primary research interests centers around drug development and approval for use in the pediatric and neonatal populations. Specifically, she is interested in the development of novel therapeutic agents for use in the prevention and treatment of chronic lung disease in the premature infant. 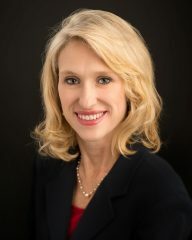 In addition, through her clinical work with the cystic fibrosis population, Dr. Adcock has research interests evaluating the efficacy of natural products to improve the lung function of cystic fibrosis patients. Other tracks of interest include research ethics in the pediatric population as well as educational research.